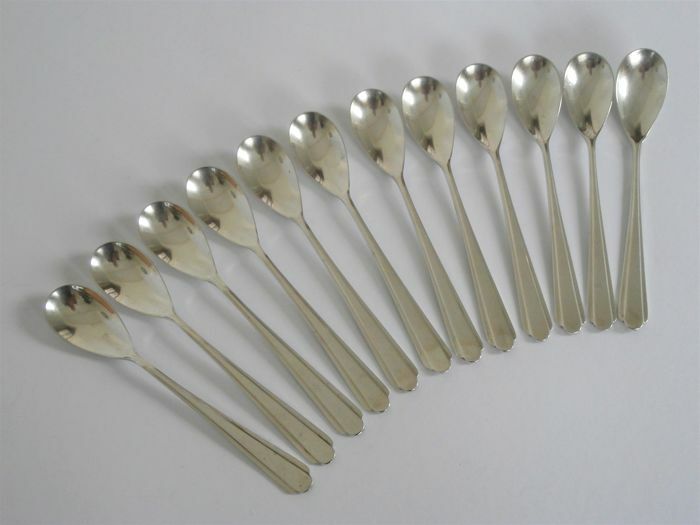 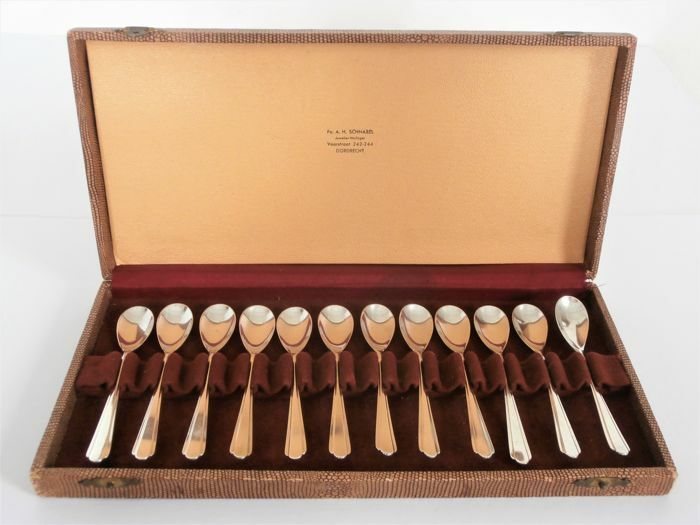 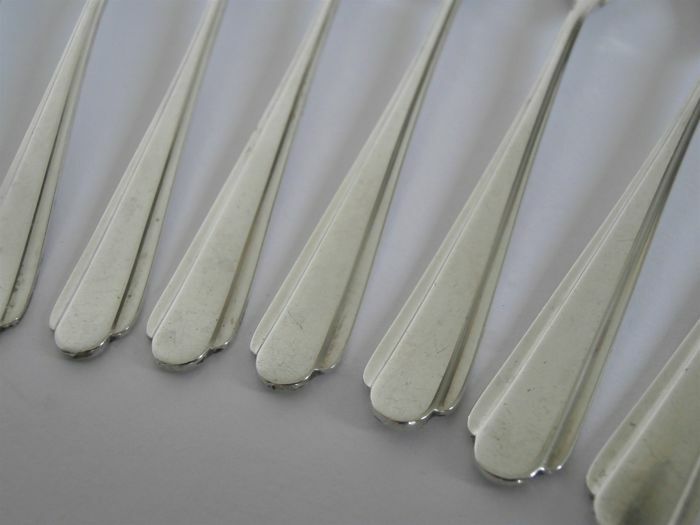 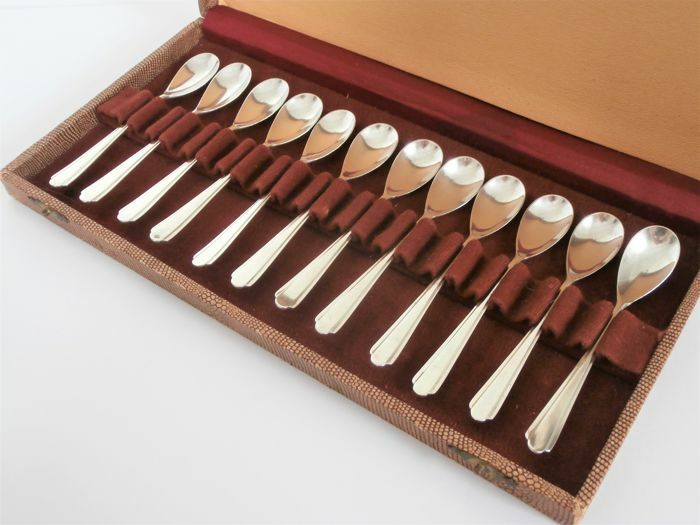 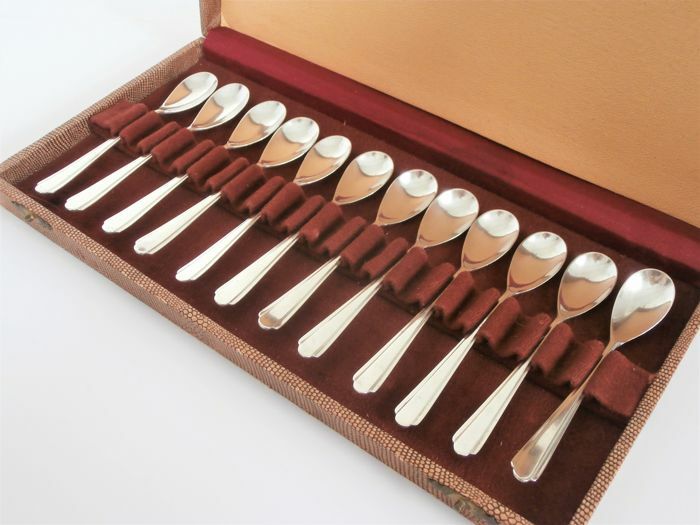 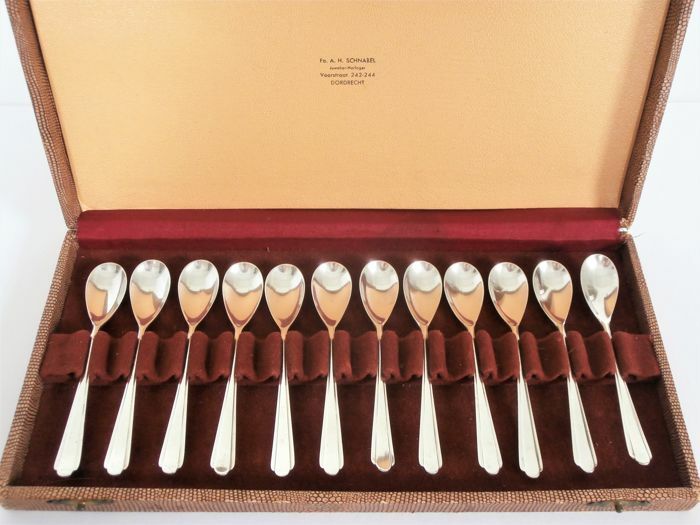 Twelve beautiful silver spoons in case. 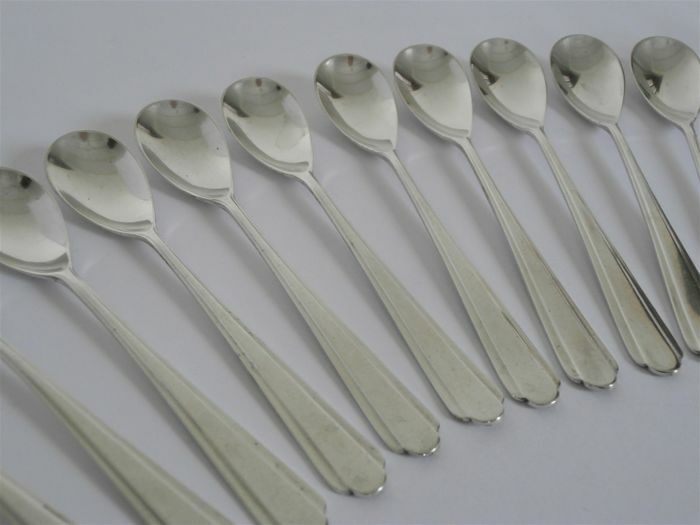 All stamped with master stamp V = Zilverfabriek Voorschoten + sword which was used from 1953-present. 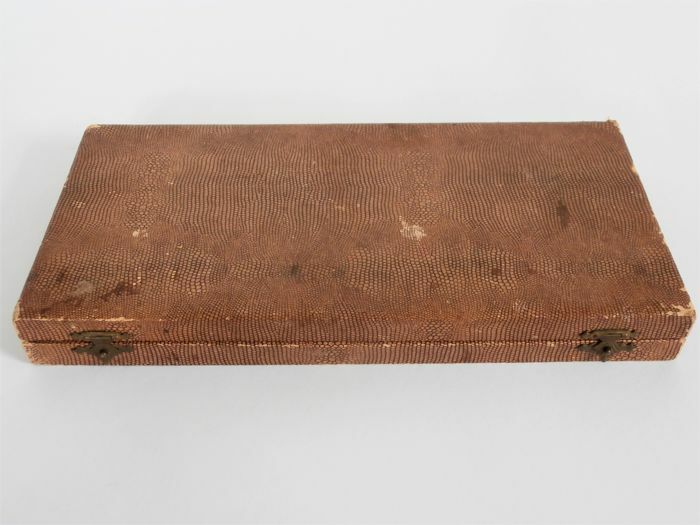 Dimensions case 17 cm. 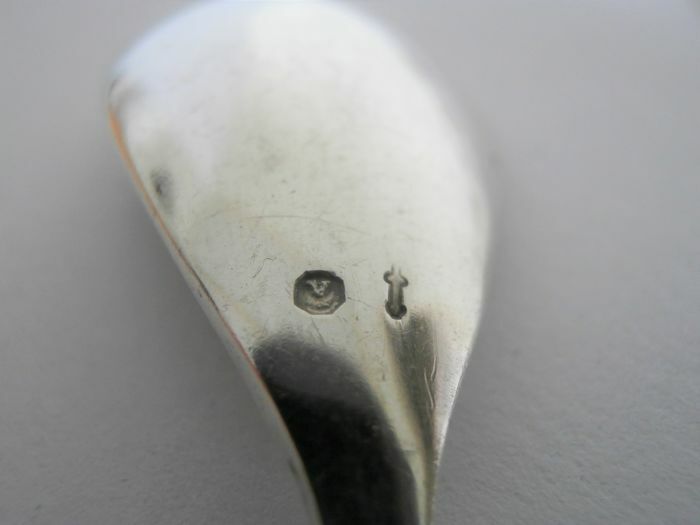 x 16 cm. 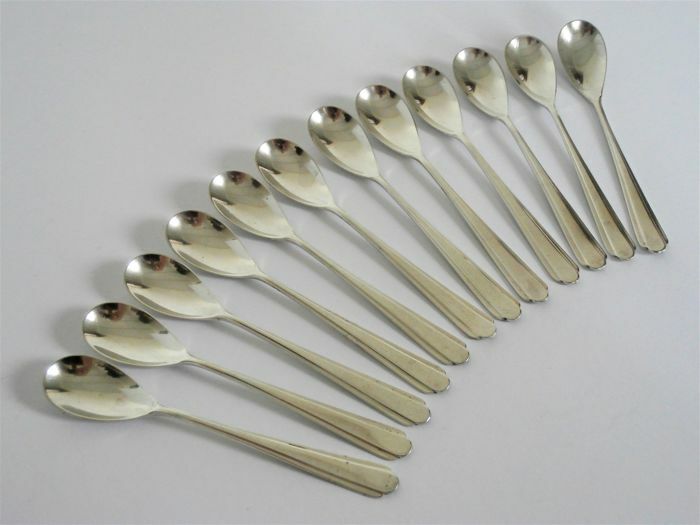 All spoons are in a slightly used, good condition. 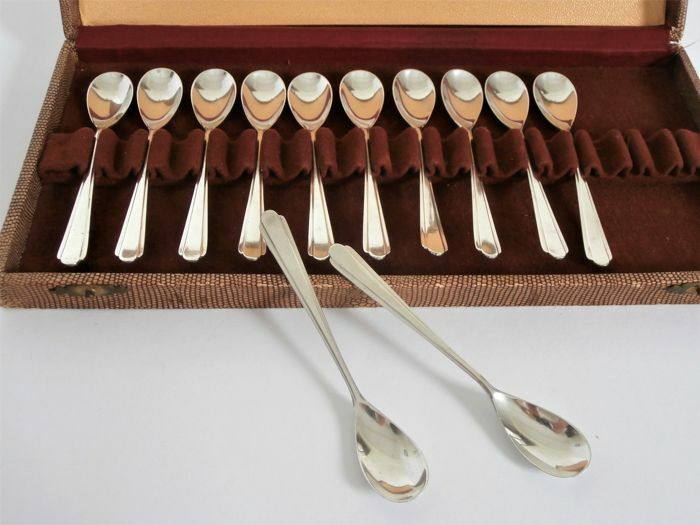 The box has signs of wear on the outside, but is fine for use.